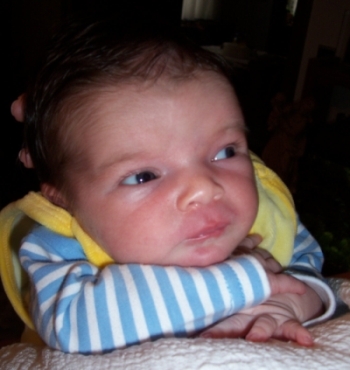 This is me when I was 10 days old. Hi everybody! My name is Lillian Angelina! If you don't want to go to myspace (even though the newst pics are always on there first! ), then please go to "Pictures - Baby Adkins" on this page and see some of my pictures.